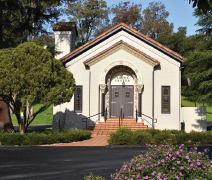 Notre Dame de Namur University is located less than 30 miles from downtown San Franciscoin Silicon Valley and the foothills of the Pacific Ocean. Take in the views or social hot spots that surround campus. It’s a great place to discover yourself. NDNU is located close to three major airports and highways, and a bus and train station are less than a mile away. 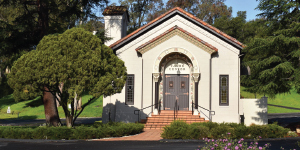 Founded over 165 years ago, we’re the third-oldest college in California: a fully accredited, private Catholic master’s university with around 1,600 students from 29 states and 27 countries with broad interests and perspectives. We offer personal attention, quality courses and instructors, and a wide range of majors and minors, with classes averaging 15 students. Professors are committed to mentoring you through your journey. Our location creates learning opportunities and internships not available elsewhere. 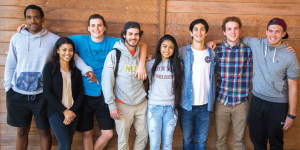 NDNU is made up of three schools and colleges, offering approximately 30 majors and credentials. From social to natural sciences, business to education, NDNU has great programs to choose from. Approximately 30 student organizations reflect academic, ethnic, sports, professional, social, and service groups. The area offers an active cultural, outdoors, and community scene. Most full- and part-time students can access federal, state, and private loans, as well as scholarships and grants. Transfer students can earn up to $26,000. More than 95% received aid last year. Payment plans are available. You’ll fit right in. Transfer students make up nearly half of the entering undergraduate class, and we offer special transfer orientation programs. Most students will have a few general education classes to complete when they transfer in. Many take both major and core curriculum courses each year. Your advisor will work out a schedule to make sure you graduate on time. • You can transfer with any number of units. There is no minimum. • We admit transfer students for spring and fall. • We accept up to 78 lower-division units and most upper-division units. • We also accept AP and CLEP exam credits. • If you apply with fewer than 30 units, we require high school transcripts and SAT or ACT scores.